One of the most common recipes I make is Friendship Bread. Perhaps because the starter is ready every 10 days but also because it’s one of the favorites in my house. I can make 6 or 7 loaves and it’ll be gone long before it’s time it start the next batch. 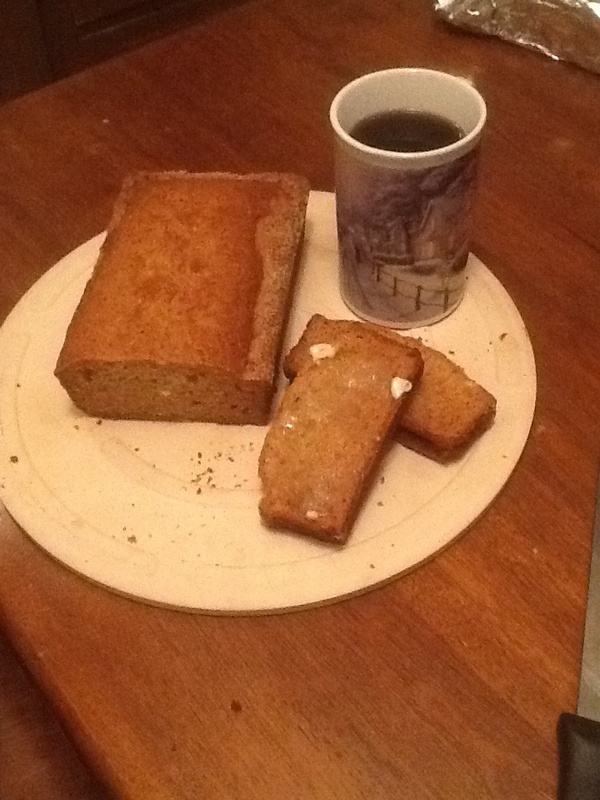 The basic recipe I follow if from here http://www.friendshipbreadkitchen.com/amish-friendship-bread and from this basic start there are so many places you can go. I started my own personal starter back in July 2013. And have kept it going, you’d never believe how forgiving a starter can be LOL. I have forgotten about it for a couple week before and it was still good – yes I was amazed! Once you’ve gotten your starter through the 10 day cycle and separated into your new 1 cup starter this is where I will pick up the recipe. Using 2 loaf pans grease and use cinnamon sugar to ‘flour’ your pans. Combine wet ingredients in a glass or plastic bowl and stir using a wooden spoon. Combine dry ingredients in a bowl and wisk together. Add dry ingredients to wet and stir until combined. bake for 1 hour or until tooth pick come out clean. 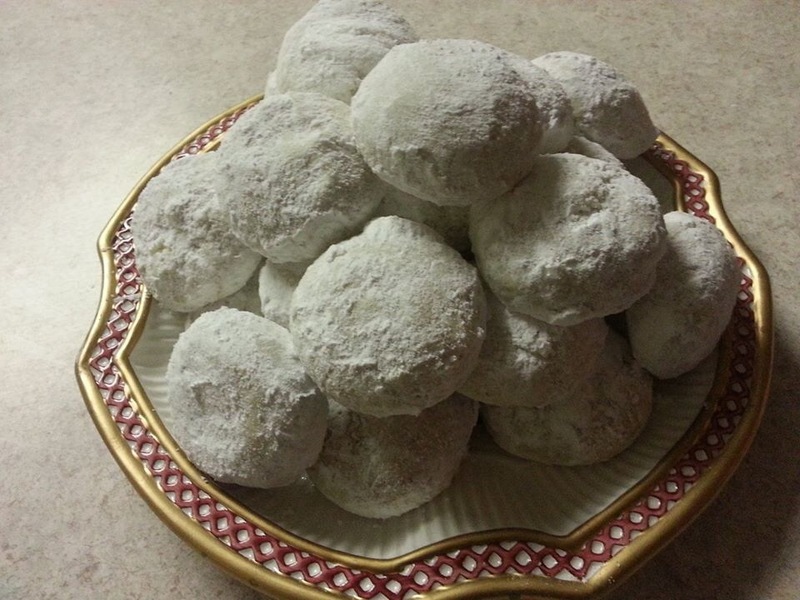 My mother has been asking me for weeks to make her Russian Tea Cakes. I finally got to it this Friday after seeing the glaze of ice covering my yard. Mental health day suddenly seemed like a great idea! I looked at a lot of recipe’s and tweaked a bit to make it my own. This is what I came up with. Preheat oven to 325. Cream butter with 1/2 cup of the sugar and vanilla. It should look light and fluffy like frosting when its done. Sift the flour and salt in a separate bowl. Chop the nuts with the remaining sugar until fine. Slowly add the flour mixture to the butter mixture. When thoroughly combined slowly add in the nut mixture. 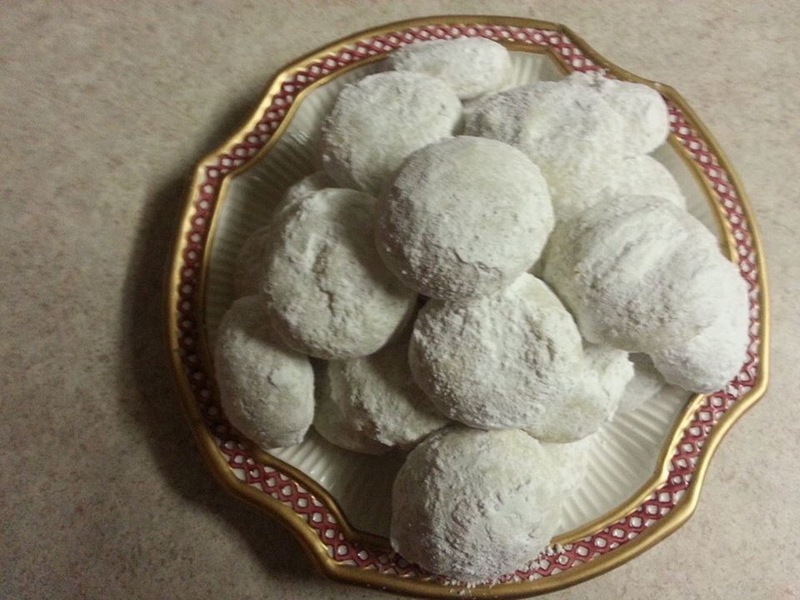 When combined roll Into 1 inch balls and place on a cookie sheet lined with parchment paper. Press slightly to barely flatten the bottoms. Bake 18-22 min until the bottoms are lightly browned. 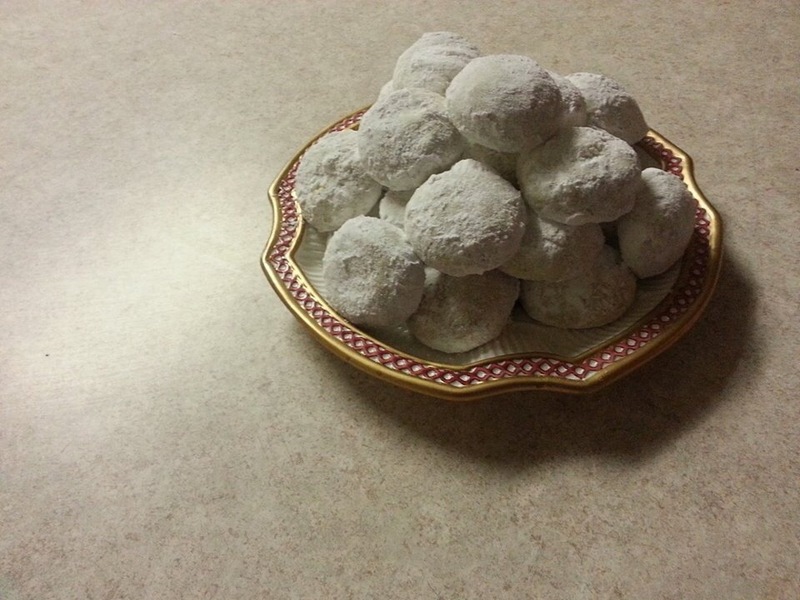 Gently roll in powdered sugar and place on wire racks to cool. 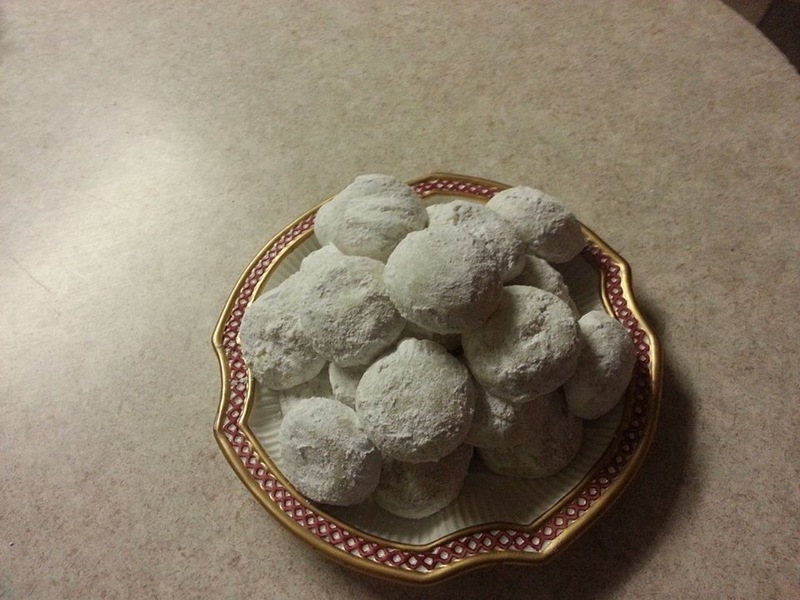 Once cooled roll again in powdered sugar and put in a sealed container for 3-5 days. Mom was very pleased and said they were just like she remembered!